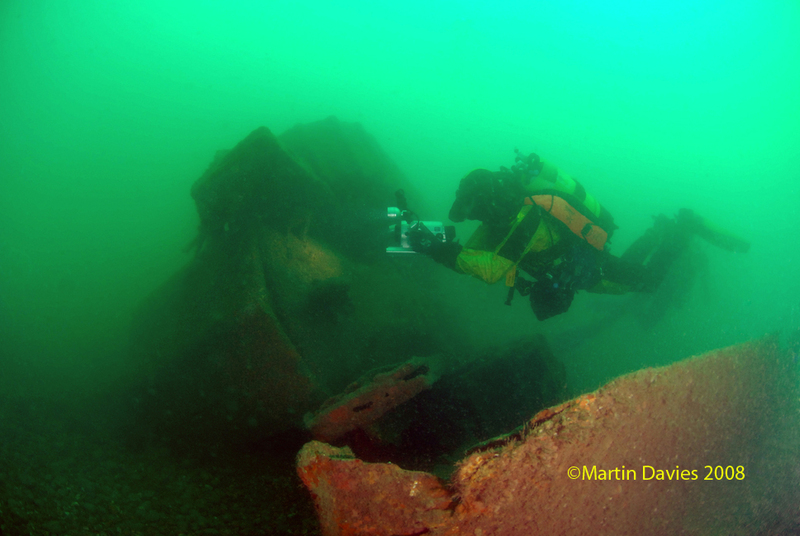 Working with Go Button Media this project was in search of a landing craft headquarters ship that veteran Patrick Thomas served on during D-Day and was lost on the 25th June 1944. 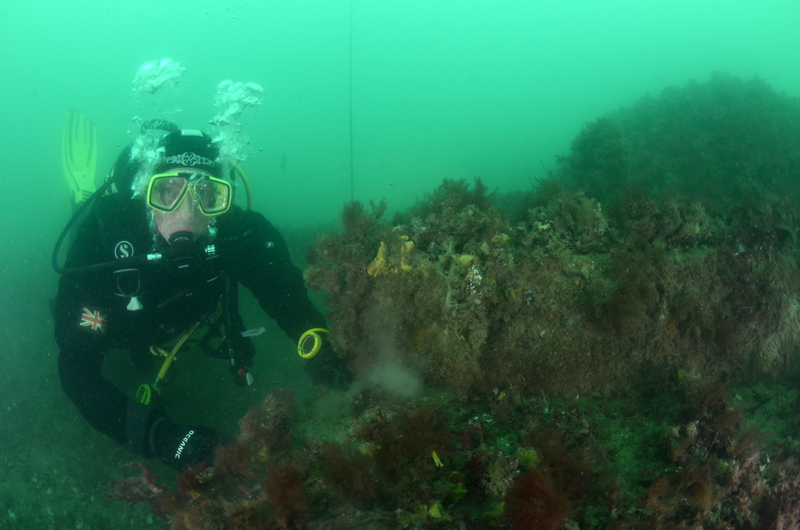 Working with John Henry Phillips a young land based archaeologist who learnt to scuba dive for the search, the week long expedition had many twists and turns in the search for the vessel. 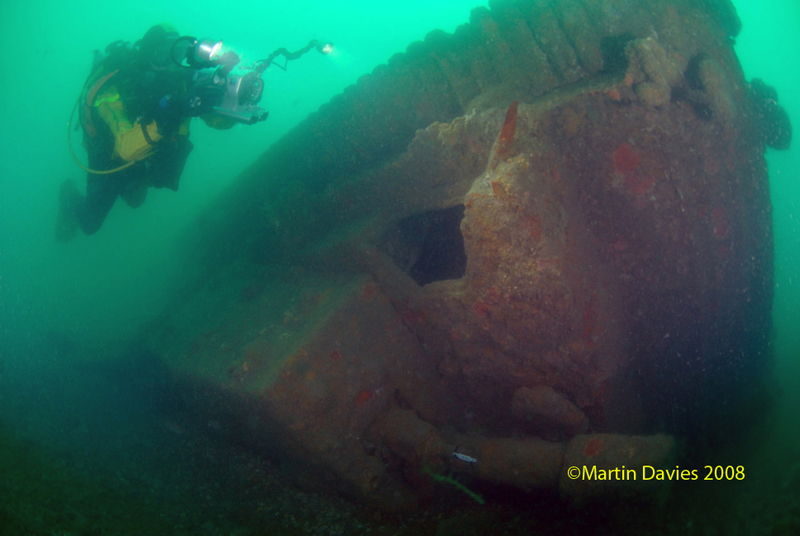 Project Cardonnet saw us returning to France in 2017 and investigating a group of landing craft that had sunk during D Day operations in June 1944. 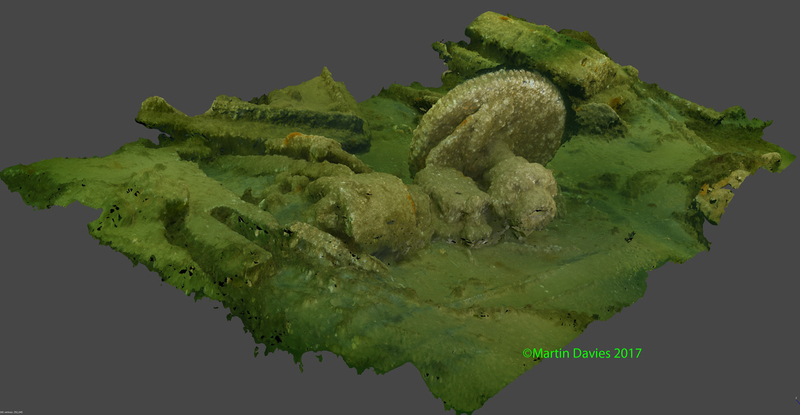 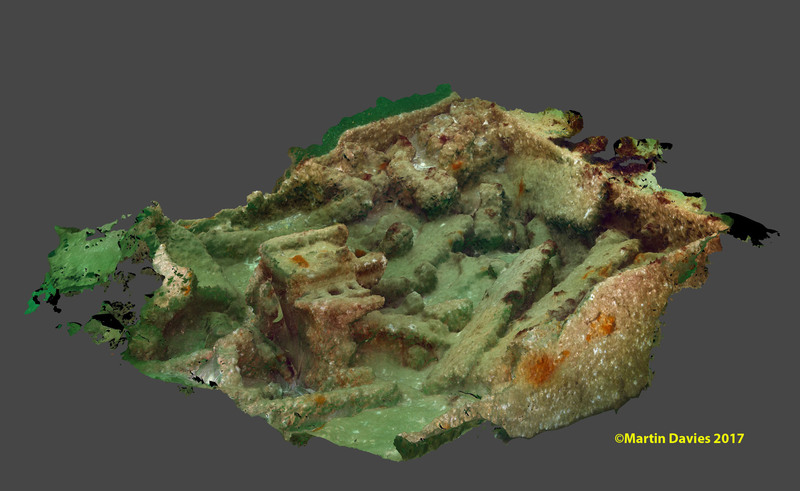 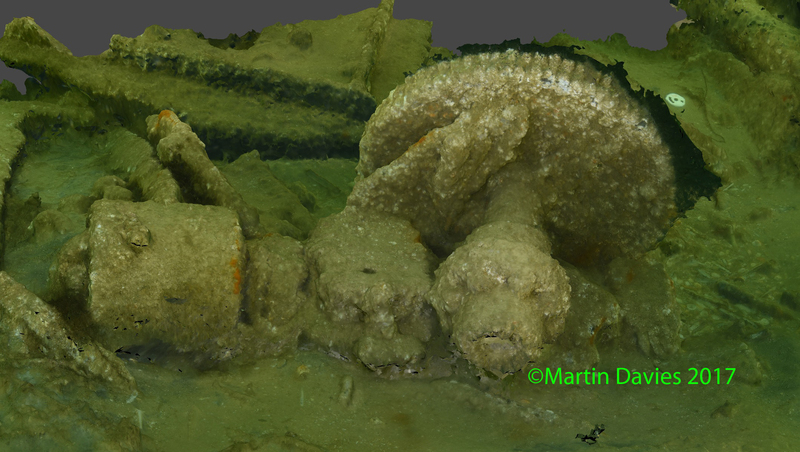 The aim of the project was to try to identify four landing craft who’s wreckage is in an area known as the Bank de Cardonnet in the Baie de Seine, Normandy, France. 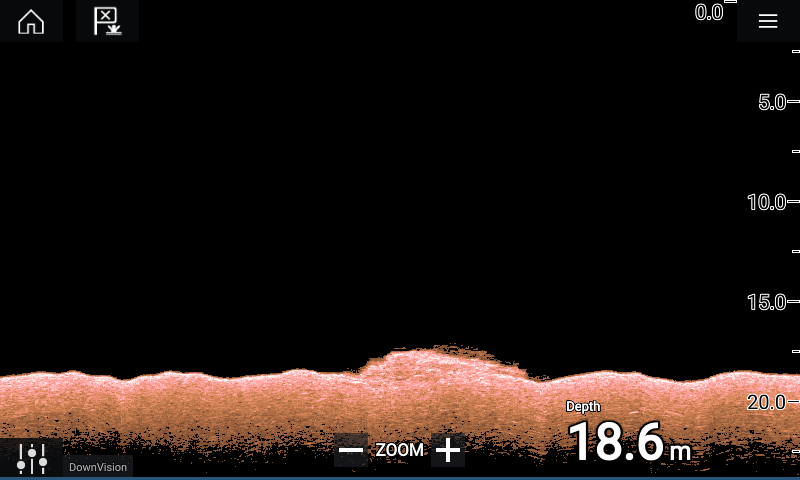 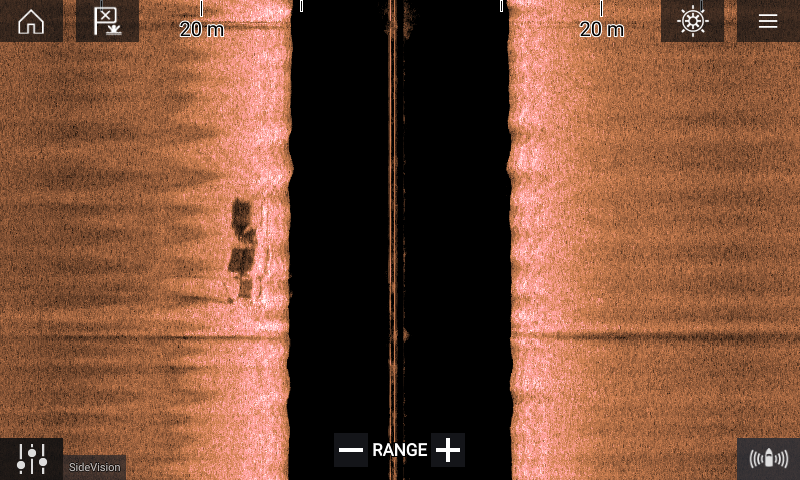 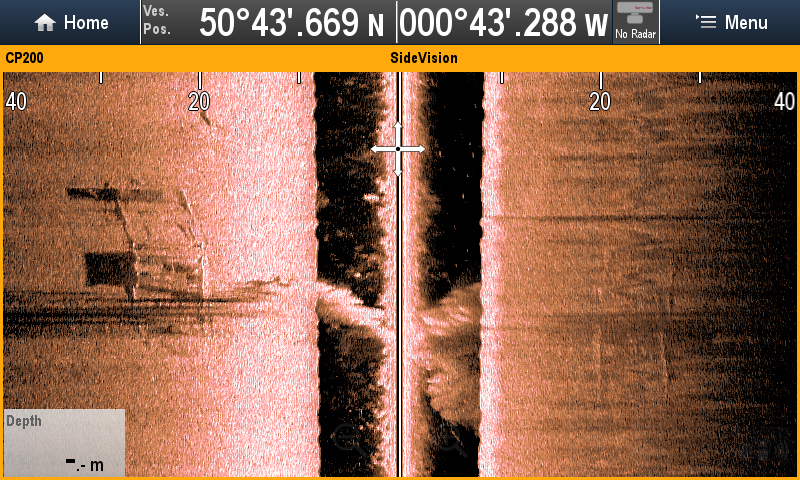 Some possible sonar targets had been identified during research and these would become the focus of the project. 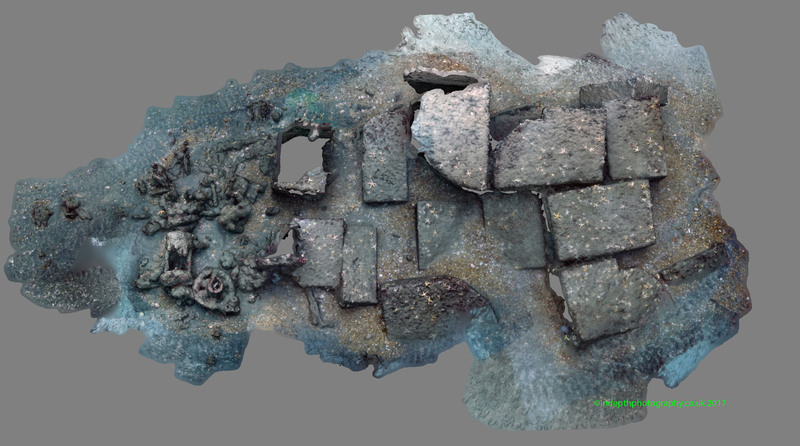 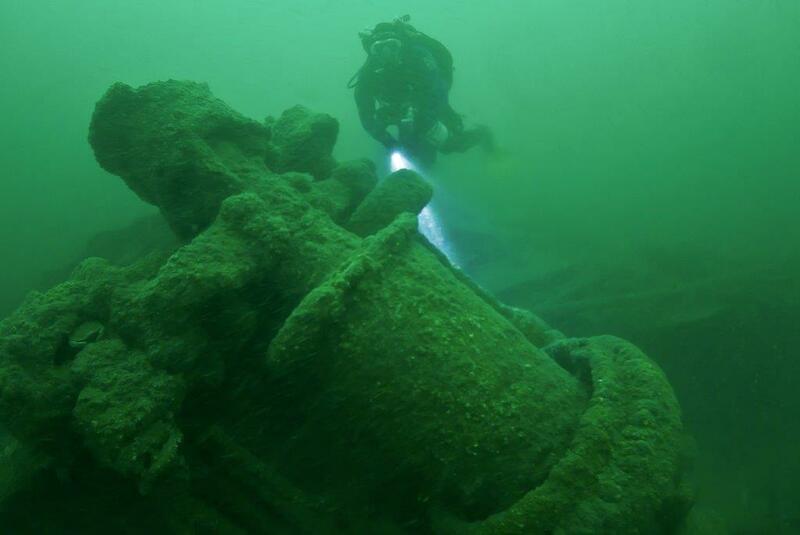 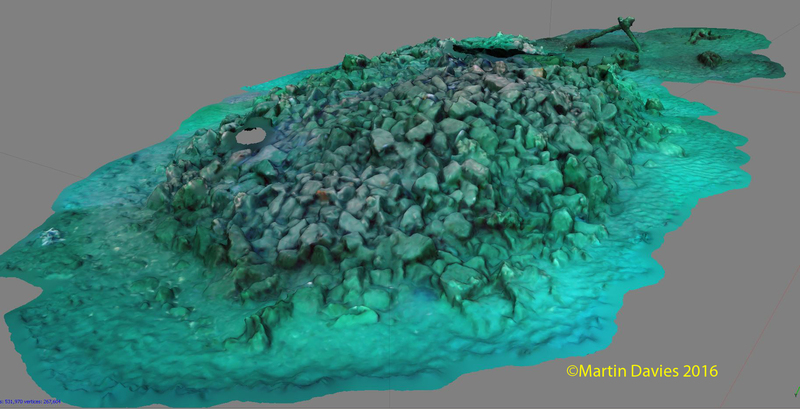 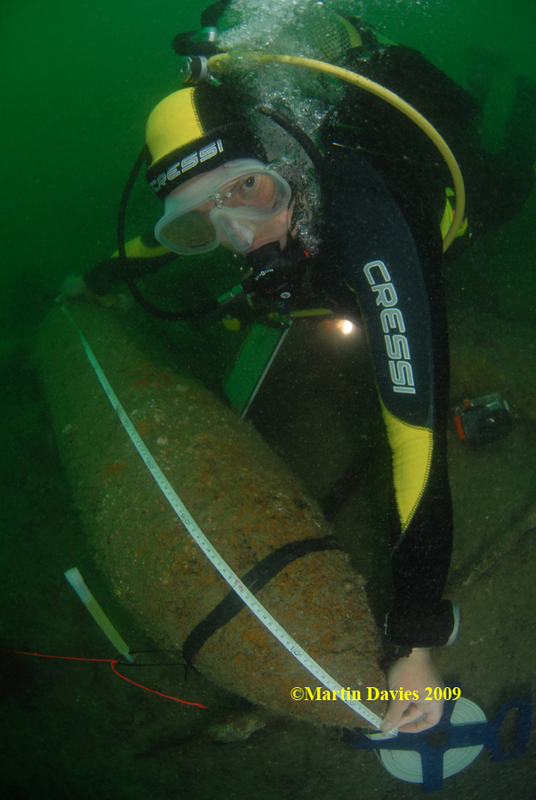 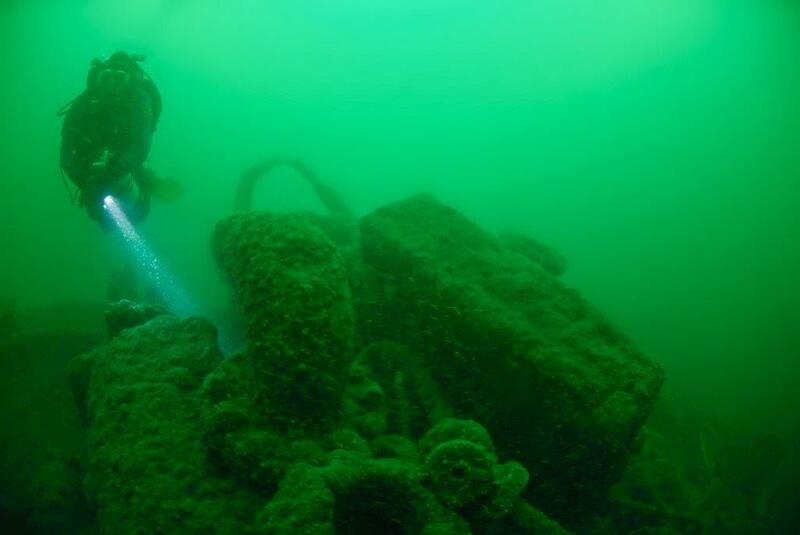 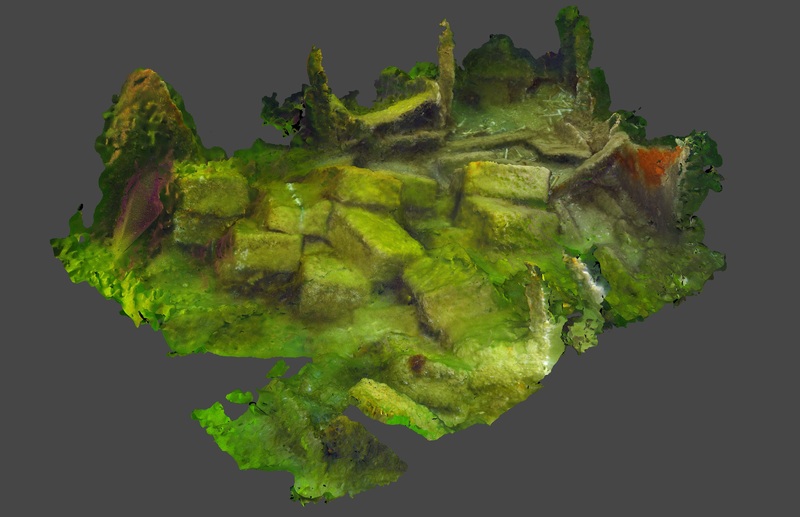 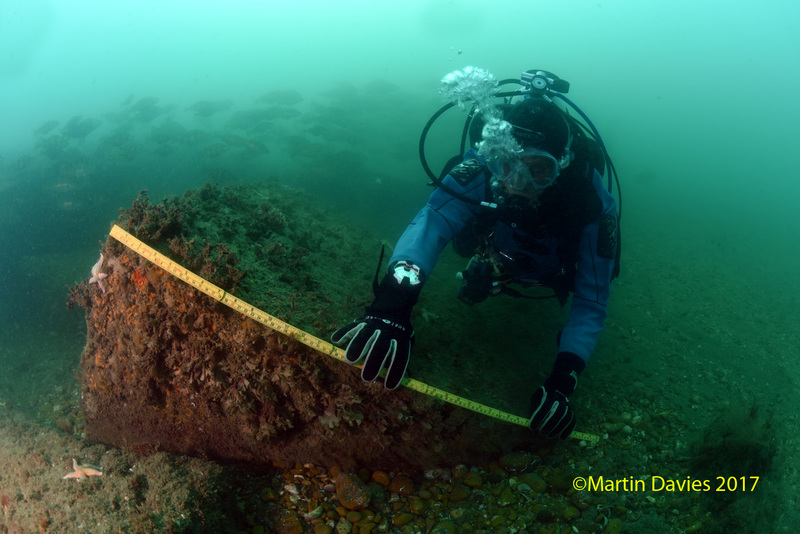 The team was tasked with diving on each site and trying to identify the remains of the broken wreckage that remains. 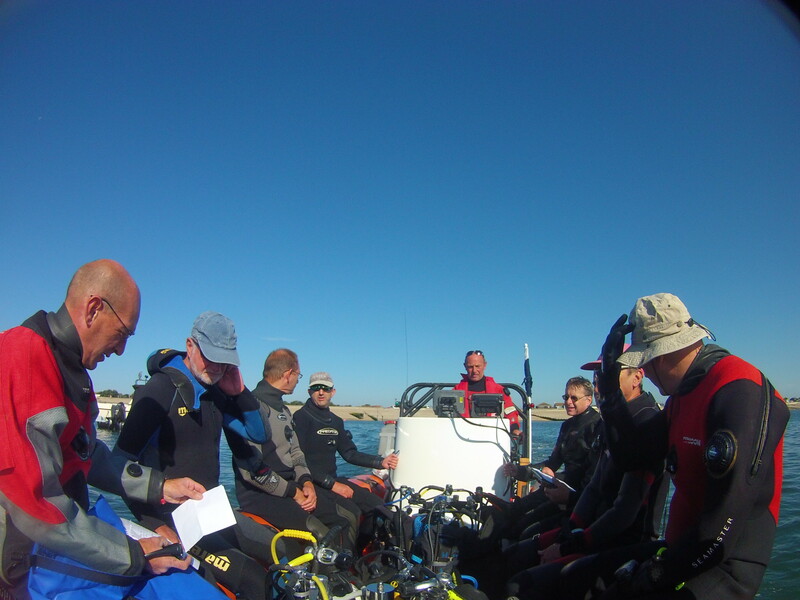 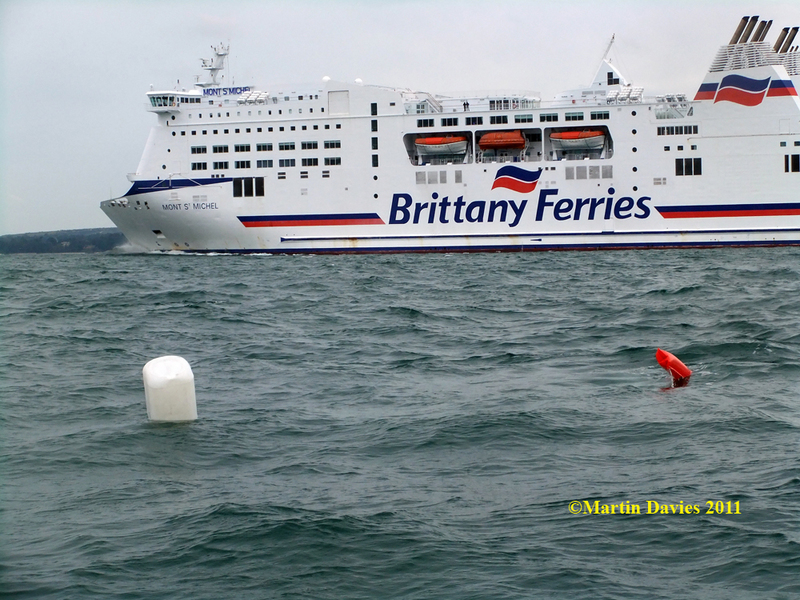 Diving operations were challenged with poor visibility, strong winds and tides which hampered the gathering of data. 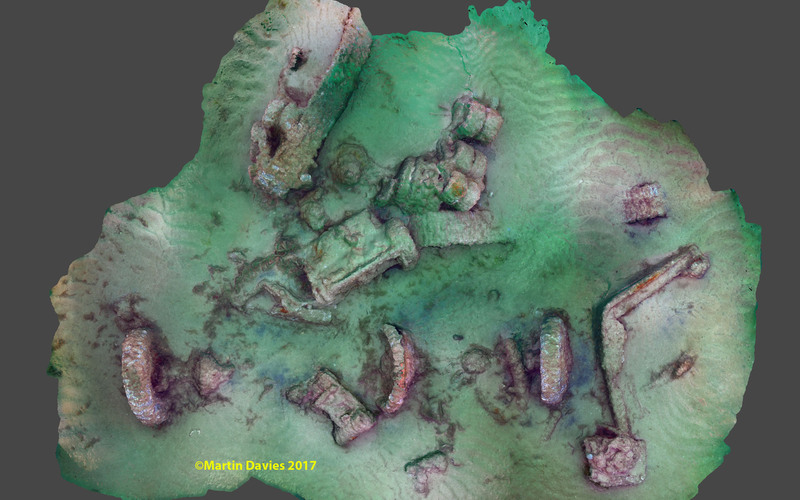 Despite that a huge amount of information was collected on the sites and an excellent report was produced for DRASSM in French furthering the knowledge of the sites for the historical record. 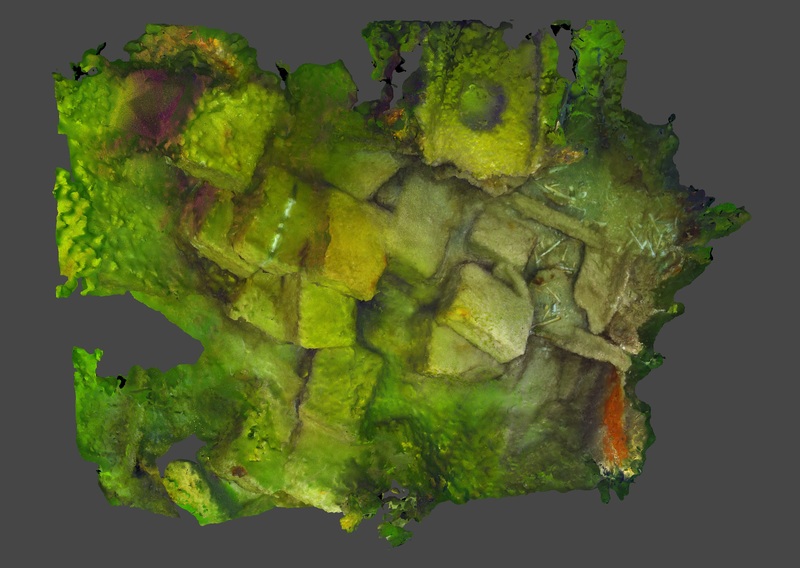 The Shiprock project was born when two wreck sites that had been investigated as part of a previous project were returned to as it was deemed that they were of historical interest and a further investigation of the sites was warranted. 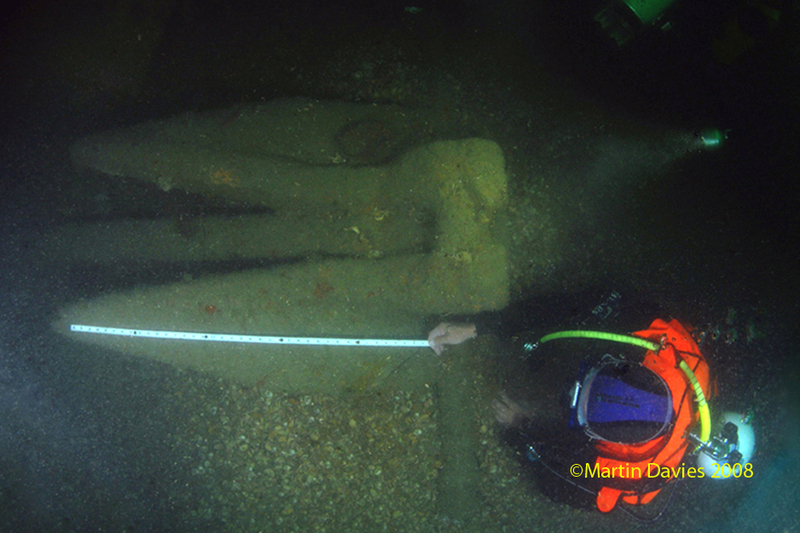 Know only as site 1 and site 2 they both were old wooden ships carrying a cargo of Stone. 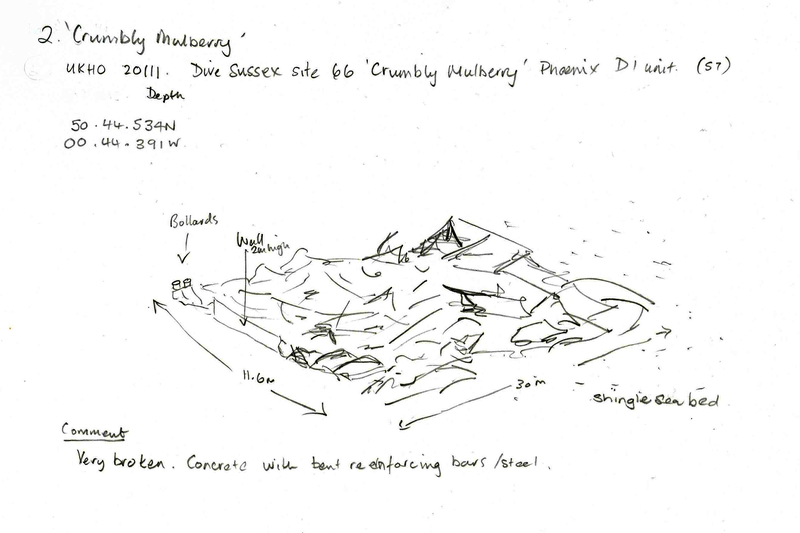 Site 1 was carrying cut blocks of Granite estimated at 7 tons each, site 2 was carrying a cargo of smaller pieces of Granite of irregular shapes. 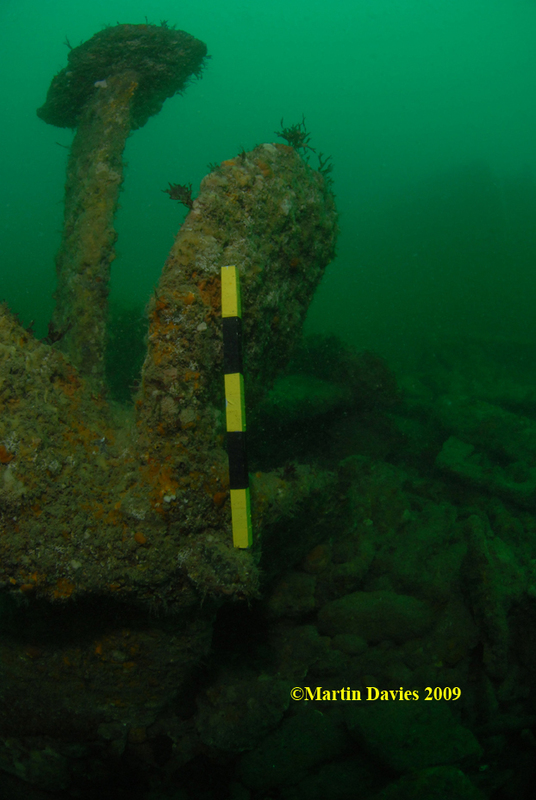 The project aimed to compare and contrast these sites in order to understand them better. 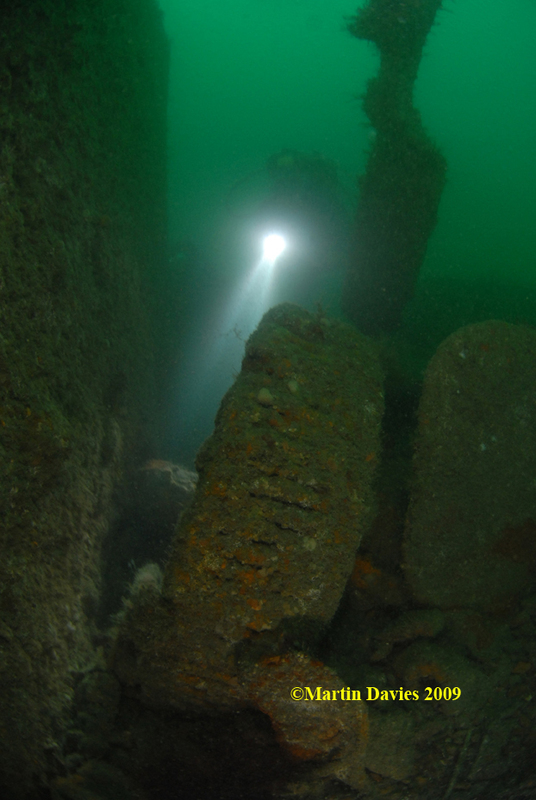 The ages of the vessels were unknown and difficult to determine due to so little of the structure that was remaining. 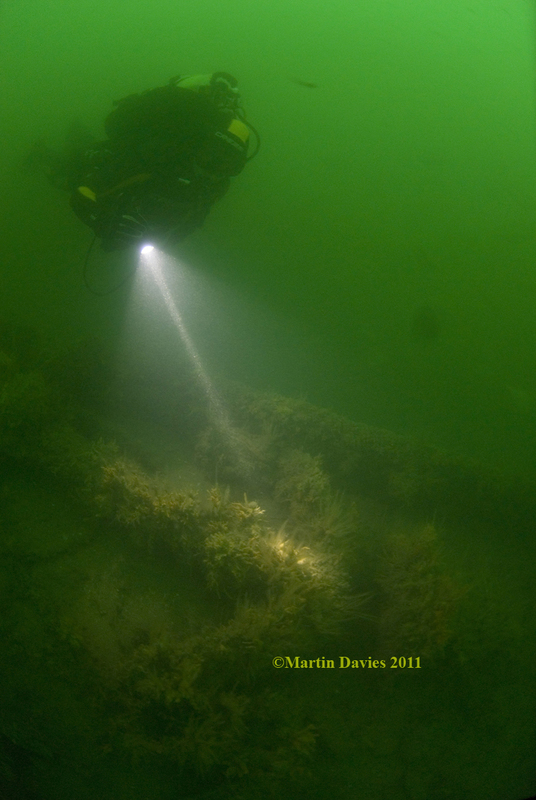 However there were a few clews on each site indicating an era, but identification of the vessels in very unlikely. 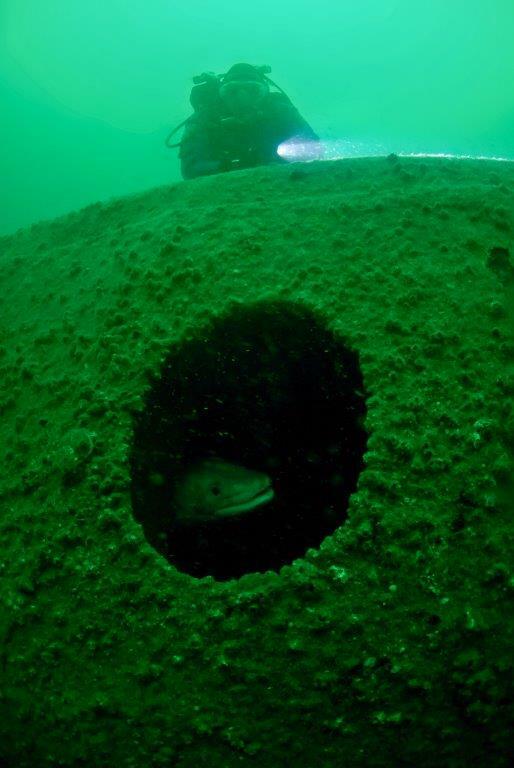 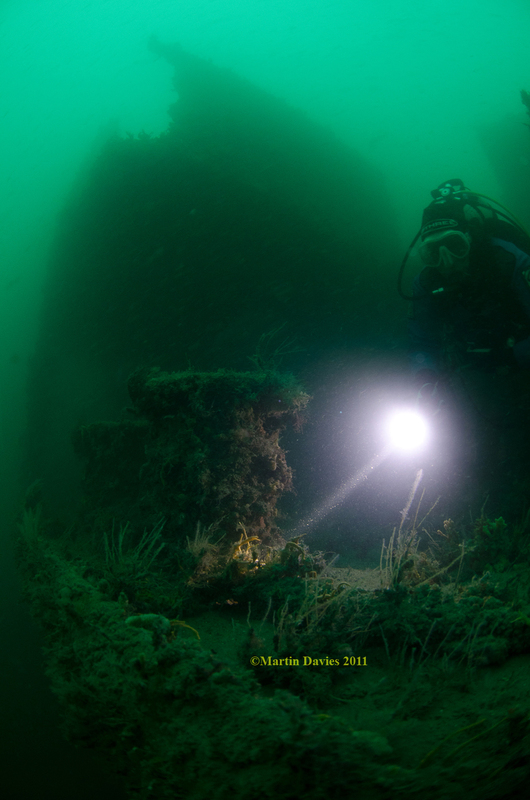 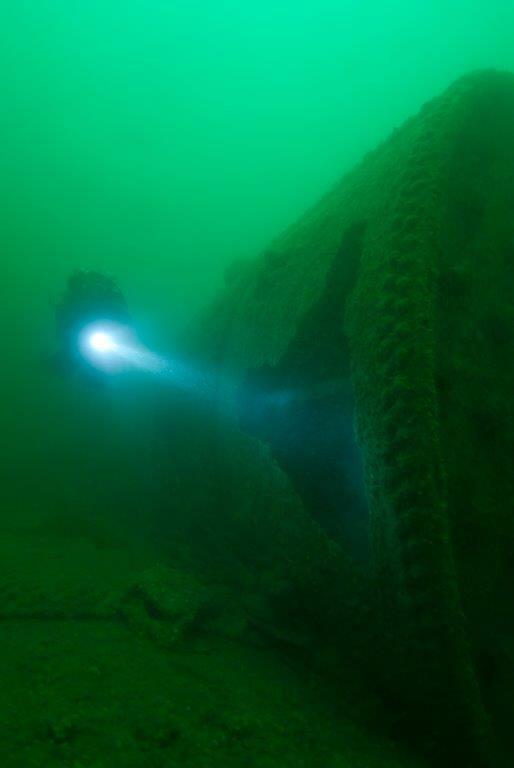 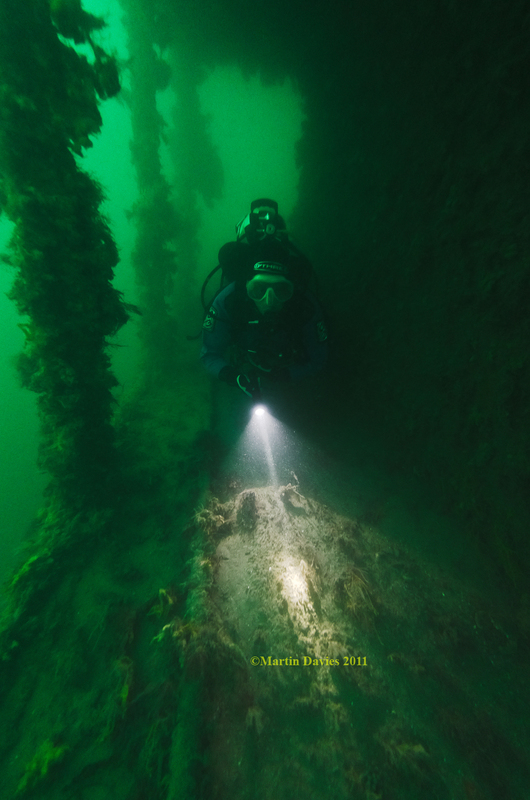 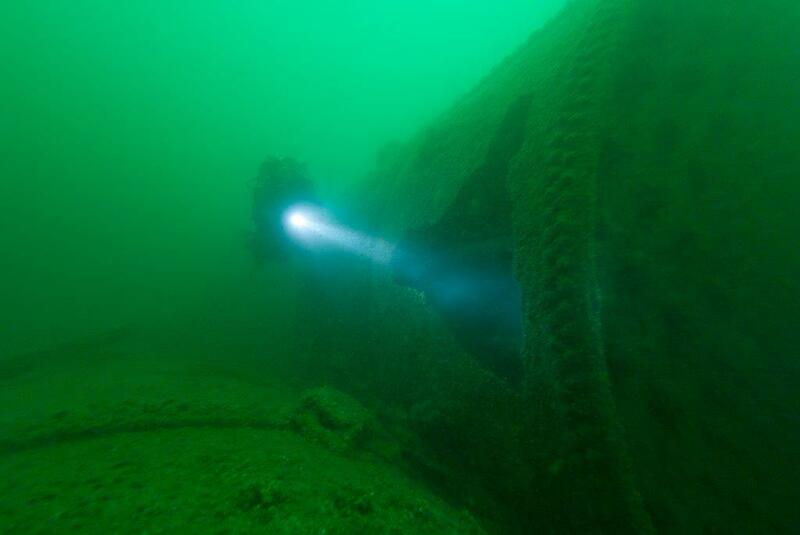 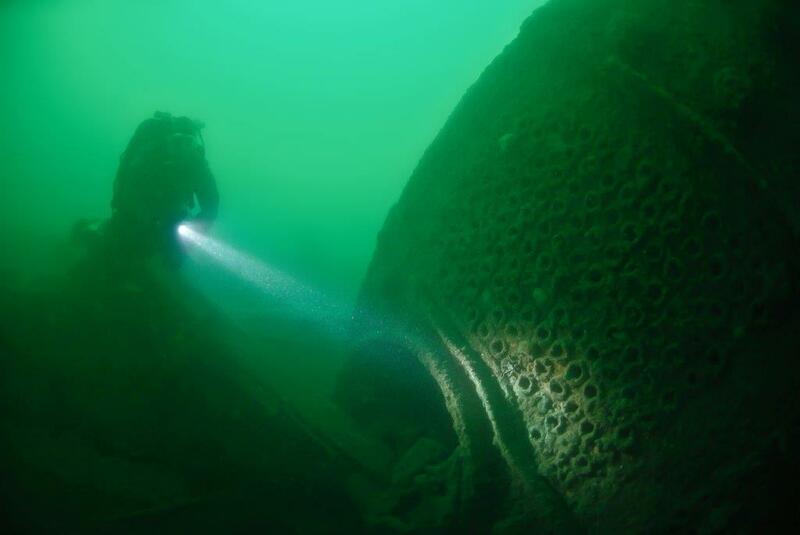 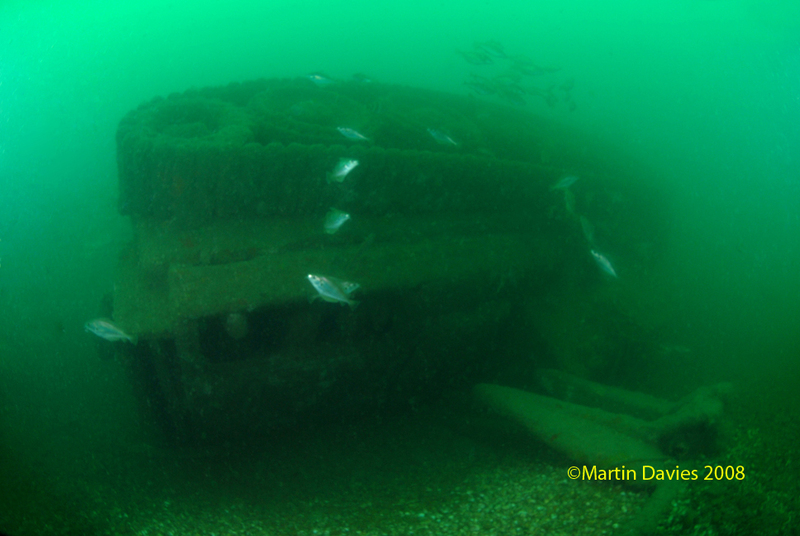 The Mulberry 70 was Southsea Sub-Aqua Clubs main project in 2014, the main aim of the project was to investigate an area known as the “The Park” which is accessed fro Selsey, East Sussex. 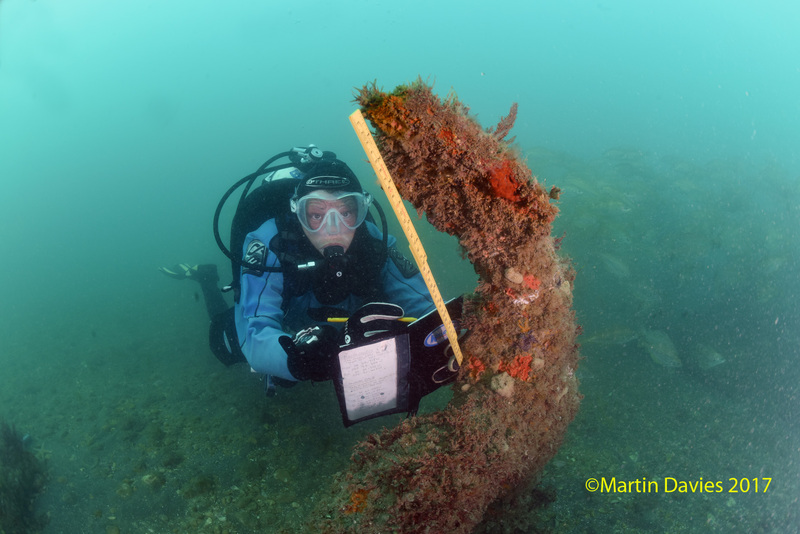 The initial data was gathered from out of date hydro graphic records and old dive guides which gave positions in none GPS format and most proved to very inaccurate. 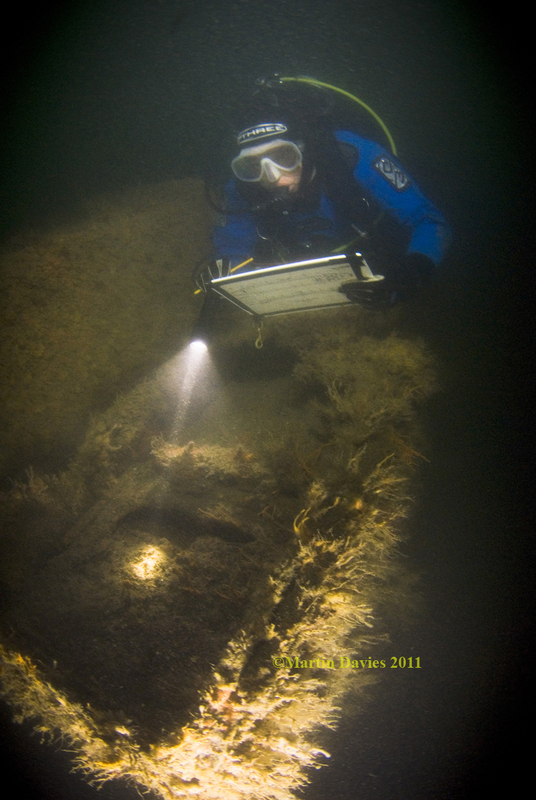 Ultimately the data collected would be publicised in an attempt to put the records straight. 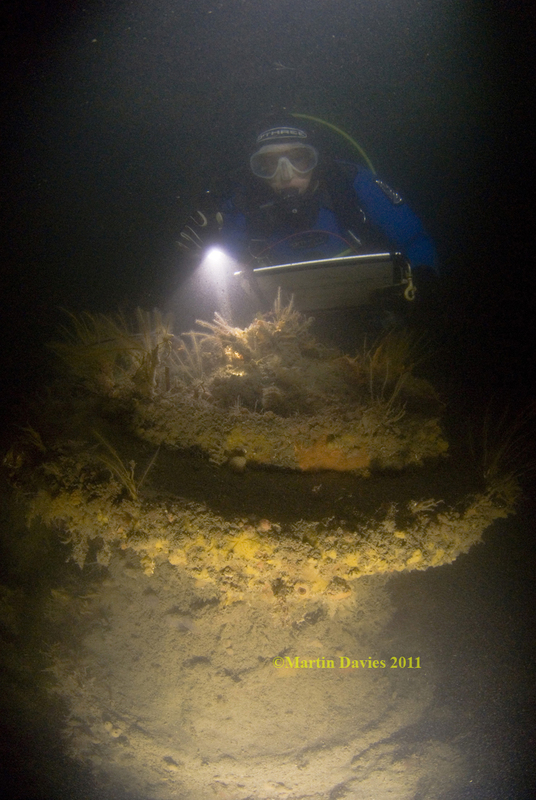 The Storey of RMS Mendi is well known in South Africa for the huge loss of life on the 21st February 1917, caused by the collision with the cargo ship the Darro off the Isle of Wight. 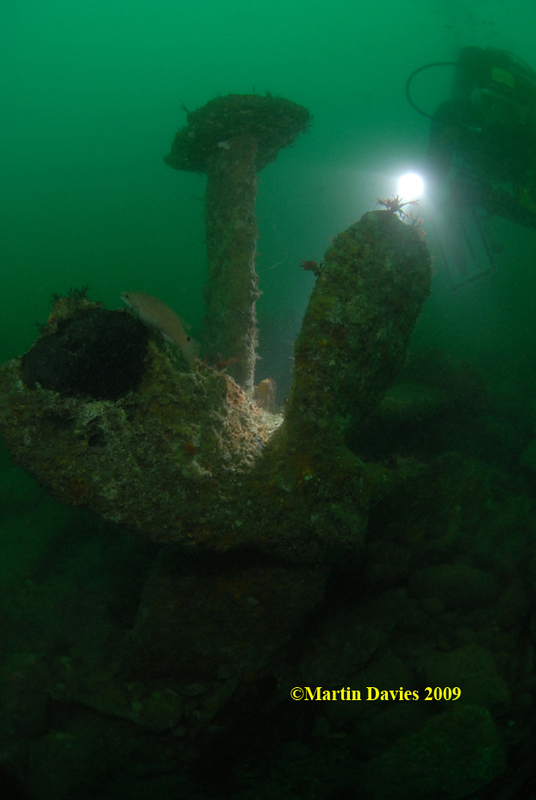 Of the 822 men on board 615 of them were lost to the sea along with 30 of the crew. 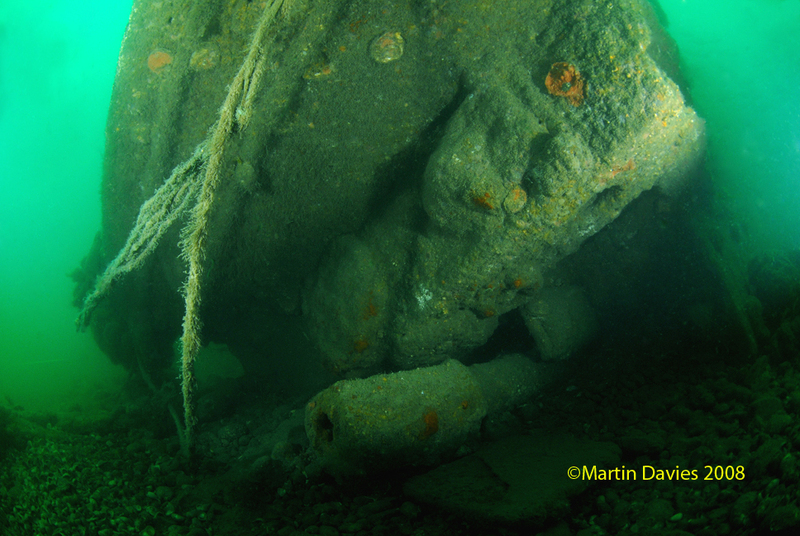 The collision of the ships represents one of the biggest losses of life in UK waters and yet there was little recognition of the event at the time. 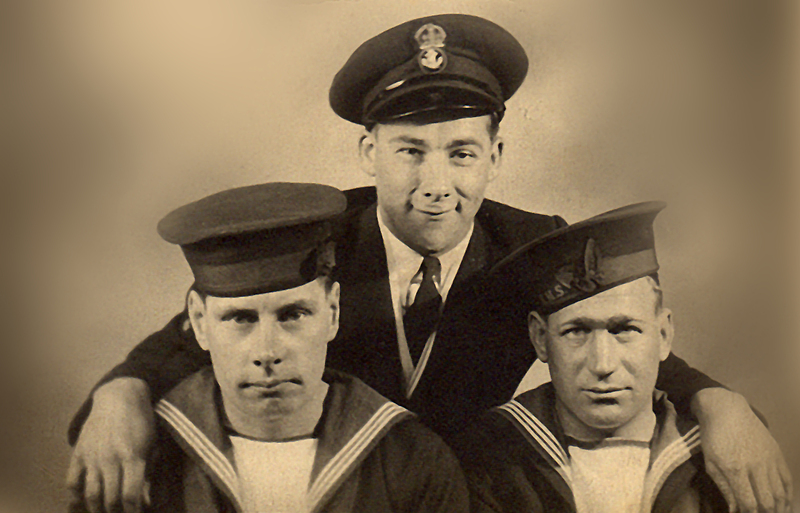 Most of the men were from the South African Labour Battalion and were being transported to support front line fighting troops in France. 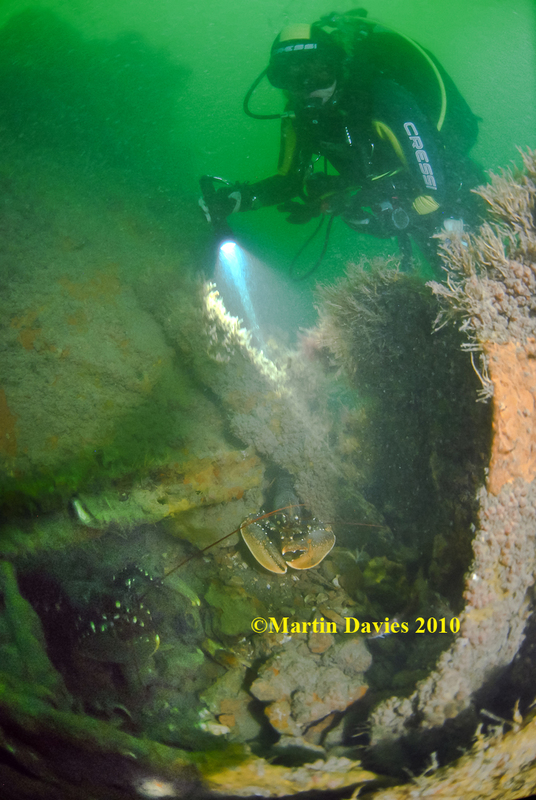 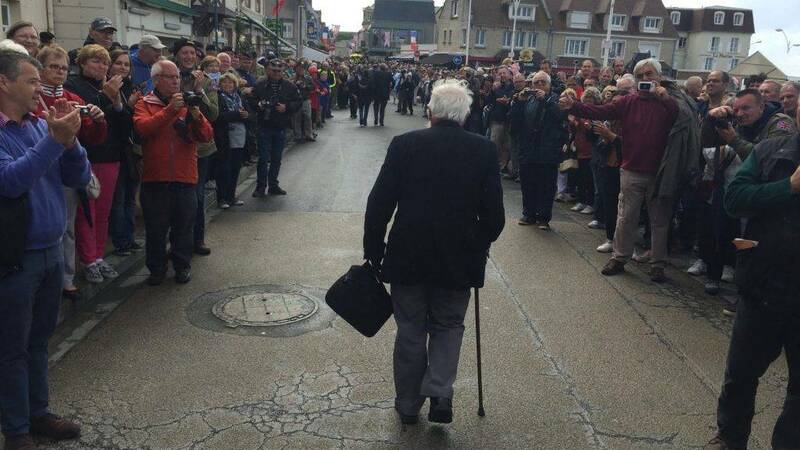 As the men realised there predicament and ultimately their death legend states they came together and chanted “We Die Like Brothers” casting off their boots they danced the death dance on the deck of the ship as it sunk 40m to the bottom of the sea. 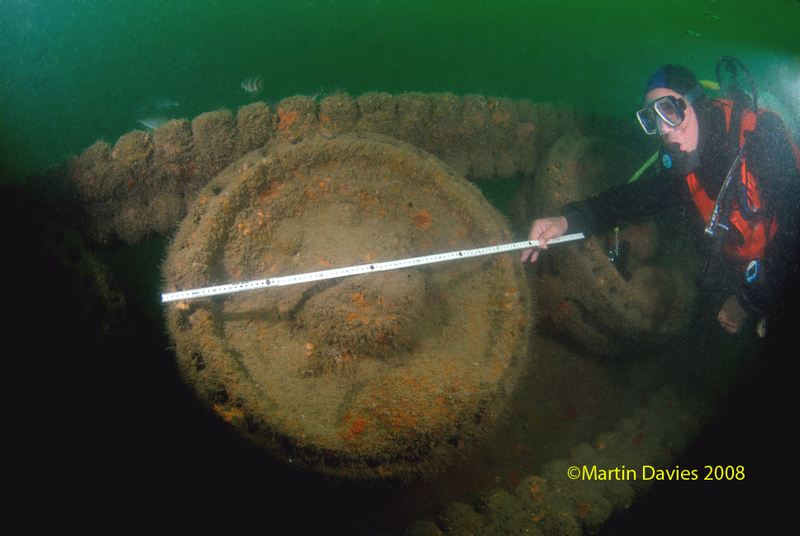 Project Neptune was to follow on from Tanks and Bulldozers and was the search to find the landing craft that that they had fallen off and find its identity. 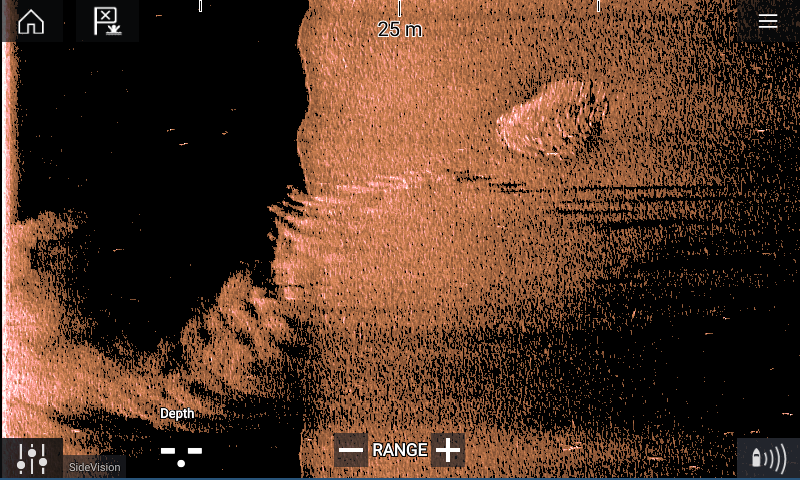 Several targets had been identified and these were dived pre survey to give an indication regarding whether they were a viable target. 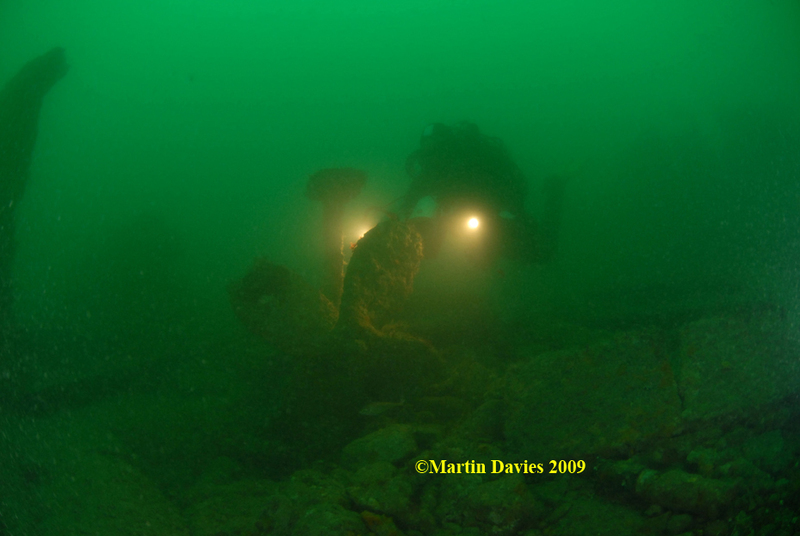 Based on tidal predictions for 6th June 1944 the direction and rate of flow was worked out and this formed the start of our search area. 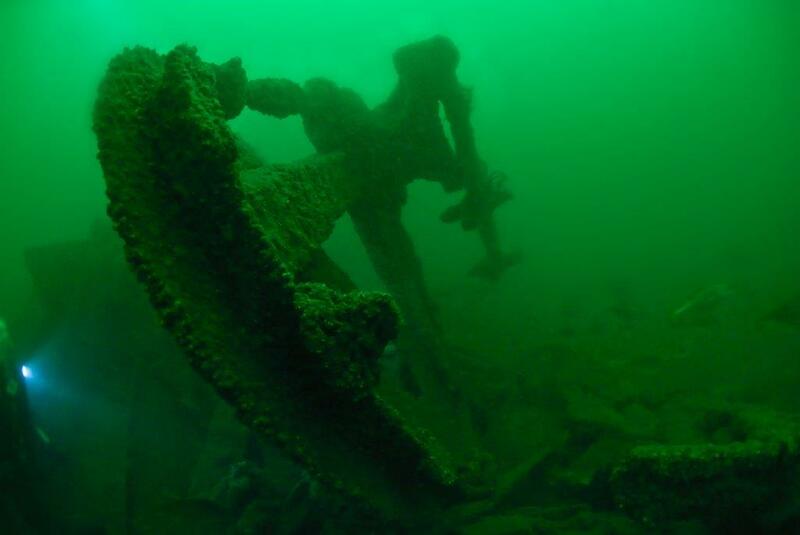 We decided there was only one main target in the area and so efforts were concentrated on what was locally known as the “Patch Landing craft”. 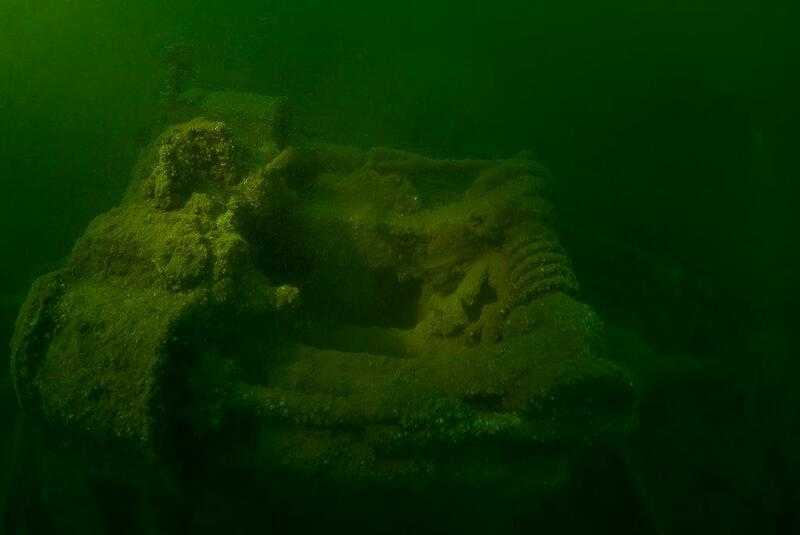 Not much remained of the craft as they were not particularly well built, but what was present was 2″ armour plating that would have been used around the bridge area and 3 engines. 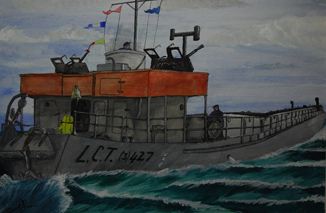 This gave us a type of craft which was US built LCT MK5 , and this tied in with the account from the war diaries that LCT (A) 2428 was the craft that was eventually sunk by gunfire from a British ocean going tug after failing to tow it back to port. 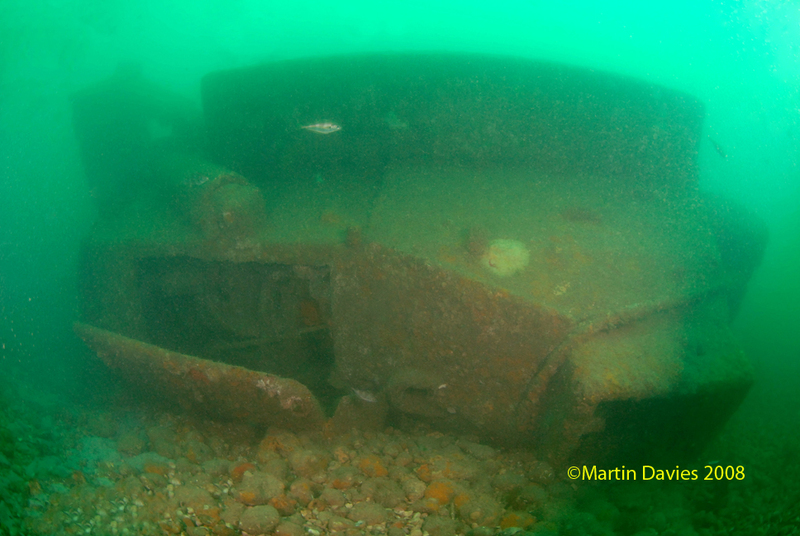 The wrecks of two WW2 Centaur tanks and two Caterpillar D7 armoured bulldozers destined for D Day can be found at a depth of 20 metres, 4 km South West of Selsey Bill, West Sussex. 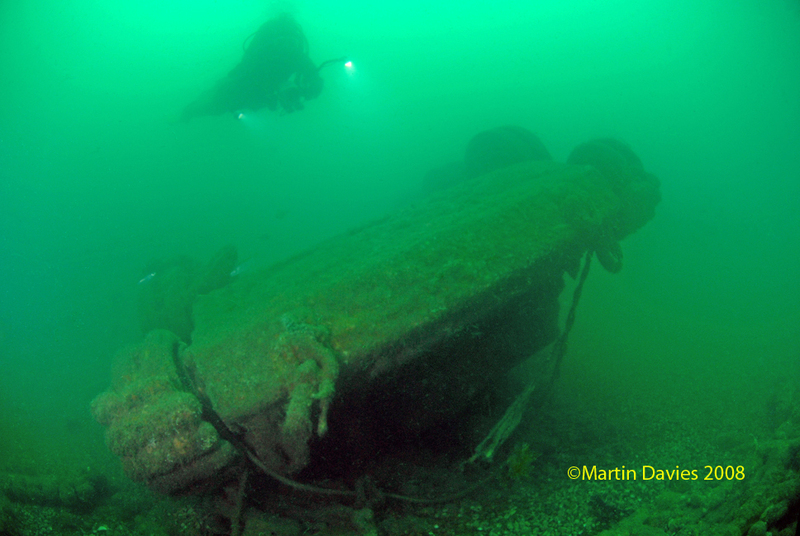 The mystery of how they got there was a puzzle despite being known about since the 70’s, and many local divers having visited the site in the past and picked over the vehicles removing souvenirs for their mantle pieces. 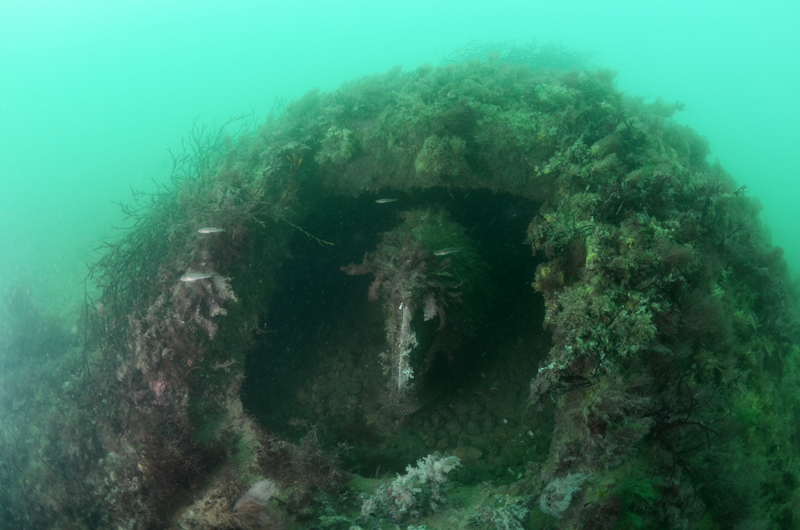 Nobody had taken the time to identify them let alone discover their storey. 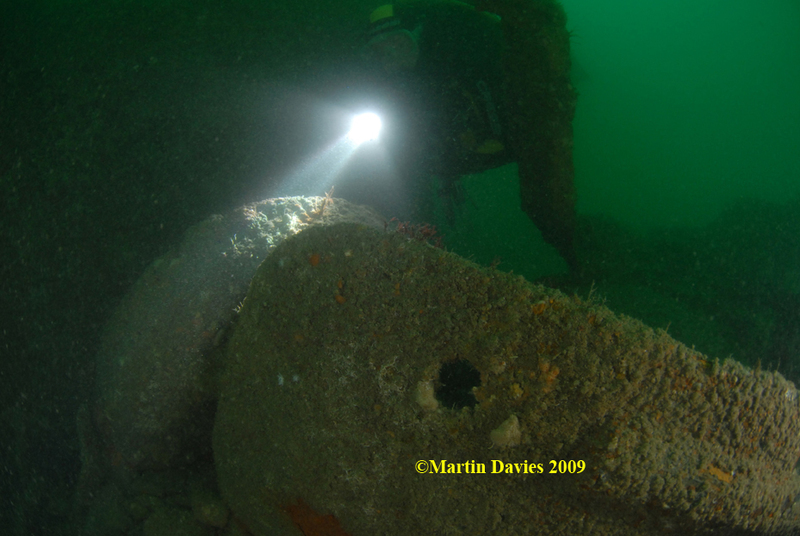 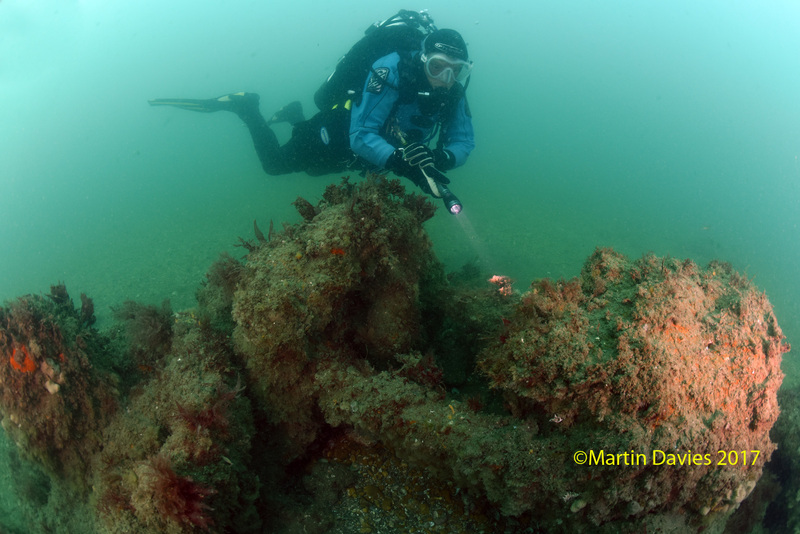 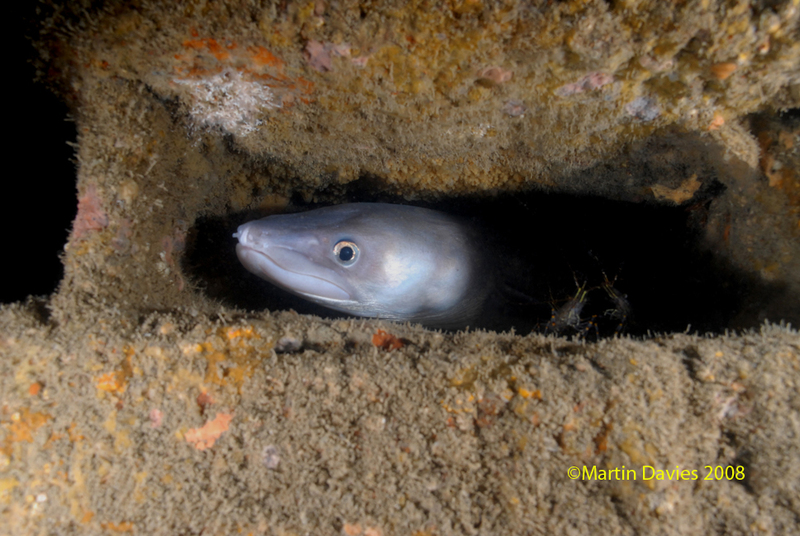 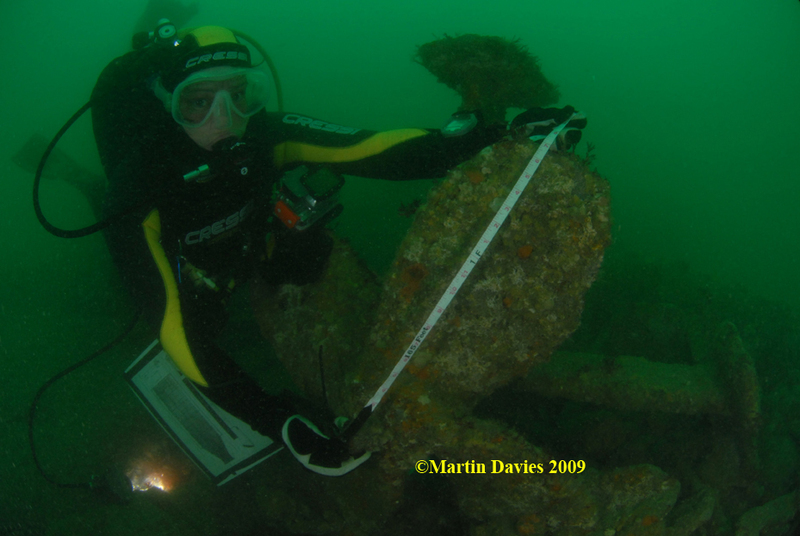 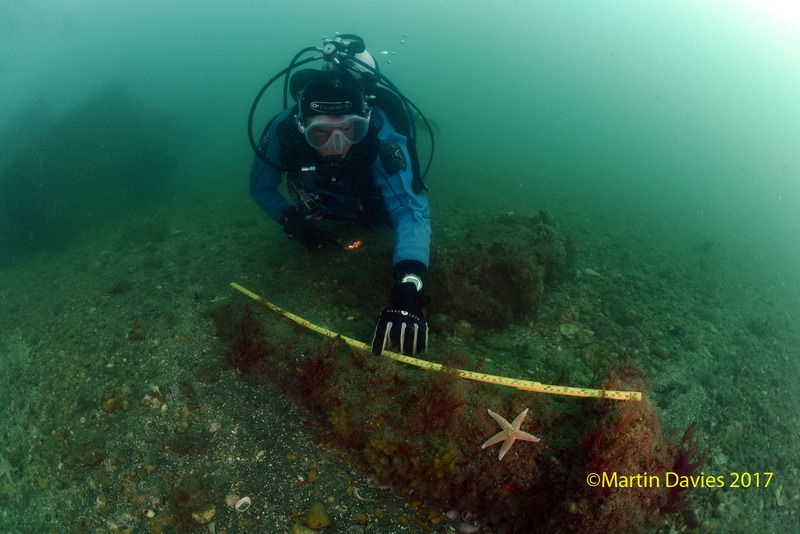 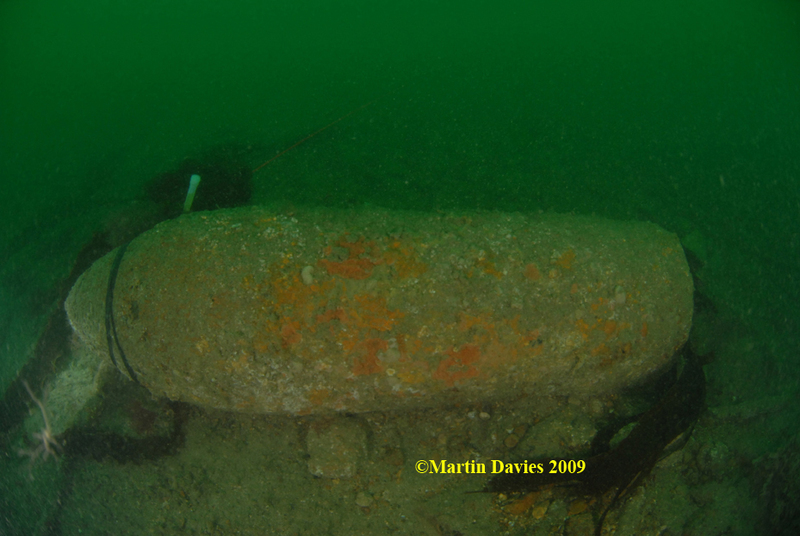 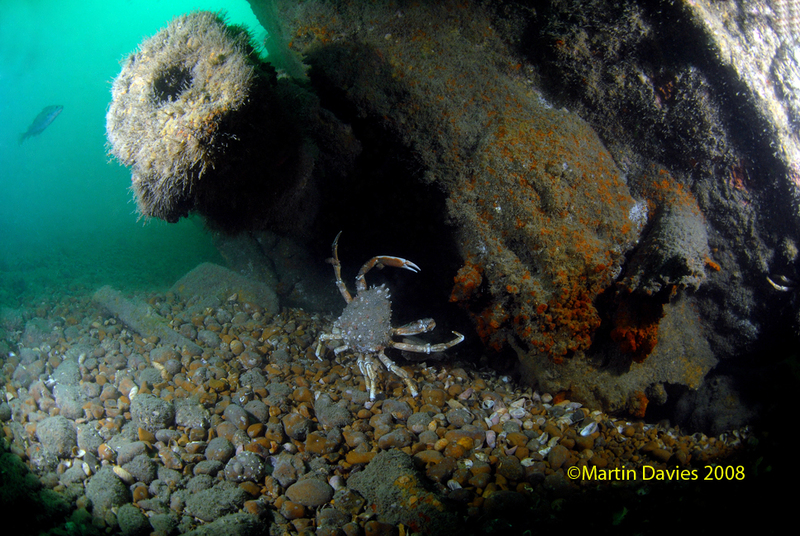 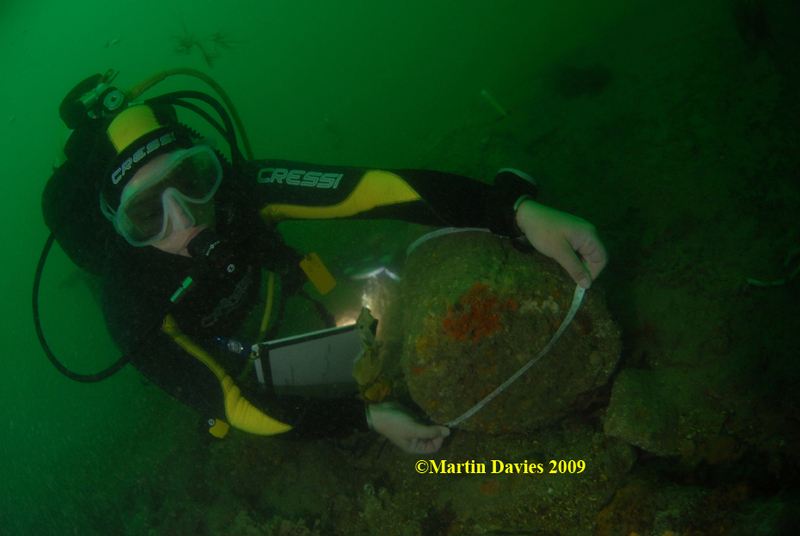 During the 2008 diving season a project was set up to do a weeks intensive diving of the site and find out more about the site and get some clues as to how they got there. 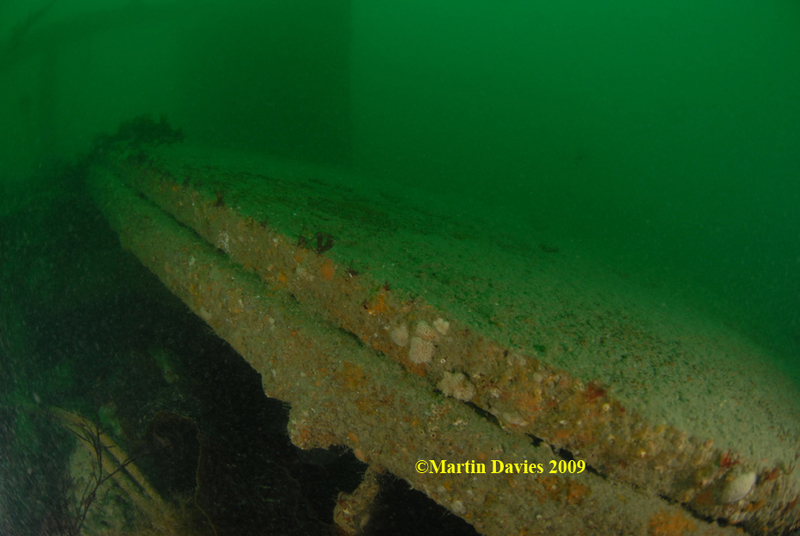 After extensive research an account was found in some war diaries belonging to the Royal Marines Armoured Support Group which indicated that a Landing Craft carrying 2 Centaur Tanks and 2 Bulldozers had got into difficulty on the 6th June on its way to Normandy and had had to turn back, eventually capsizing and spilling its cargo onto the seabed. 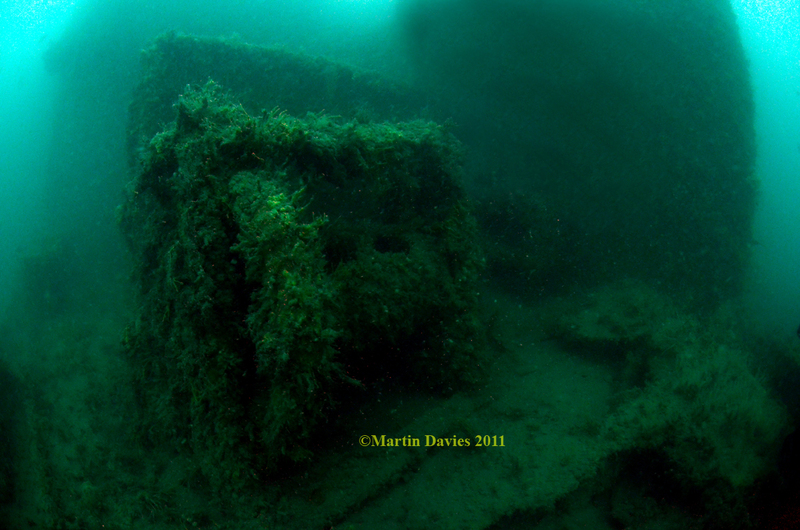 The wreck then floated off from the site leaving a cargo but no shipwreck.